Rugged Trails Nepal offer some of the best-selected trips from Pokhara for those travelers who want to start the journey from Pokhara. Many travelers want to make shorter, easier, and accessible trips for Pokhara, therefore Rugged Trails Nepal make Best Selling trip from Pokhara. These convenient packages keeping in mind practical experiences, geographical routing, and topographical considerations. Some trips are not listed such as 1-day hiking to Dhampus, Pothana village day hiking, Australian Base Camp Helicopter Tours, Rafting and adventure activities. There are dozens of new trips which can be done from Pokhara and if you don't see below simply write to us we will be happy to get back to you. Hopefully, the international airport of Pokahra will be complete soon and after that travelers can directly fly to Pokhara instead of arriving in Kathmandu. Besides of Everest Region treks most of the other trekking trips for Annapurna, Langtang, Manaslu, Upper Mustang can start from Pokhara. The best selling trips of Pokhara can be customizable as per your length of holidays. If you don't have enough time for the listed package or need to explore more than it we will make a tailormade itinerary. 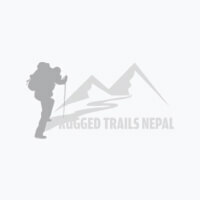 Rugged Trails Nepal guides and team are in Pokhara to assist you for any time. If you need hotel arrangements before or after the trips we arrange as per your budgets. Also, the ground transportation from Kathmandu to Pokhara or Pokhara Kathmandu will be arranged on request, we have our own vehicles. Flight is more convenient if you are not in a tight budget to fly to Pokhara or to Kathmandu. Get the best deals and offers from us.